Half of all working Canadians admit to experiencing back pain last year. For a significant number of those people living in pain, bad posture is a major contributing factor. Bad posture and the resulting pain can negatively affect your quality of life. You miss work. You’re unable to do common household chores such as picking up the laundry or making the bed. Fortunately, you don’t have to live in pain. A chiropractor, like Dr. Aaron Cain at Fish Creek Chiropractic in Calgary, can help you correct poor posture and realign your spine to assure that the body is functioning optimally. Schedule a free consultation. Why is my posture important? Your posture is the position of your body while standing, sitting or lying down. Optimal or ideal posture is the state of muscular and skeletal balance that positions the joints correctly to provide minimum stress on the body. Optimal posture protects your body against injury or progressive deformity. Poor posture, on the other hand, usually indicates a spinal misalignment – or vertebra in the spine that are not lined up correctly. The effects of misaligned vertebrae can be far-reaching, involving respiratory, digestive, and circulatory systems as well as the musculoskeletal system. Specifically, poor posture puts a lot of stress on the spine and can cause chronic pain, especially in the lower back area. It can even put you in a negative mood. 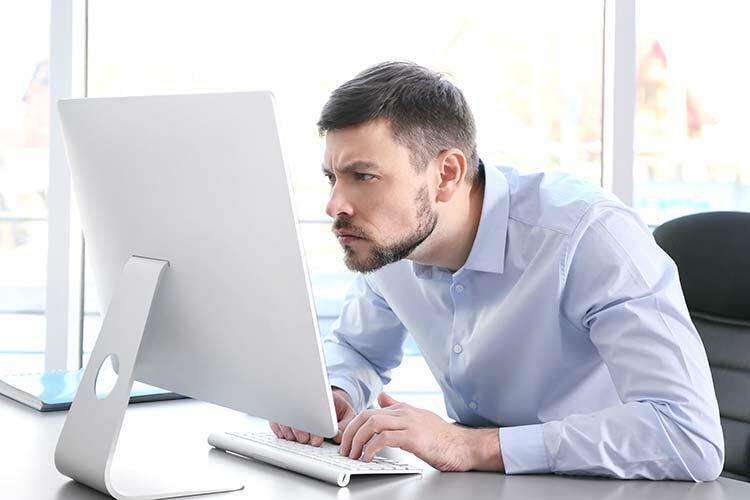 A study published in the journal Health Psychology reports that individuals who sat with a slouched or slumped posture exhibited more fear, lower self-esteem, and worse moods than those who sat upright. What are the signs of poor posture? There are many indicators of poor posture, but some of the more common are hunched shoulders, rounded shoulders, muscle fatigue, head that either leans forward or backward, arched lower back, and bent knees when standing or walking. The most obvious indicator, of course, is back pain as well as other body aches and pains. Can a chiropractor help my poor posture? The simple answer is yes. It starts with an exam. During your exam with Dr. Cain, he’ll start by discussing your problems, your complaints, when the problems started, and events that may have contributed to the problems. Then, he’ll take a thorough medical history and observe the way you sit, walk, bend, and move. He’ll be checking if your body has a noticeable postural imbalance, for example, a high right shoulder. Next, he’ll test your flexibility and mobility. Of course every individual and situation is unique, so Dr. Cain will create a custom treatment plan to help you maintain and correct your posture through chiropractic adjustments, exercises and recommendations on proper positions during different activities. A chiropractic adjustment performed by Dr. Cain is the gentle practice of manipulating precise areas of the vertebrae that have abnormal movement patterns or fail to function normally. The objective is to increase the range of motion, reduce nerve irritability and improve function. This is a common therapeutic treatment especially appropriate for lower back pain. If you have pain due to poor posture, schedule a free consultation with Dr. Cain today. Often simple chiropractic adjustments can help improve posture within just a few sessions. Once your body is in alignment you will feel more energetic, healthier, and happier. Your body is an intricate machine and when one part isn’t functioning as it should, it affects all the other parts. Chiropractic can turn that around, helping your body function more effectively so you feel better.